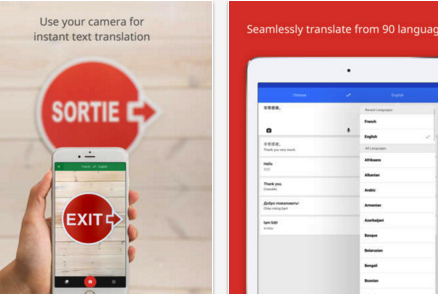 Upon the request of some of our readers here, we curated the list below comprising some of the best language translation apps out there. If you ask us about our favourite app in this collection, we will definitely pick out Google Translate. We have been using this app for few years now and found it to be way better than many other similar apps. Just keep in mind that all translation apps are only good for word to word translation but when it comes to translating a whole paragraph inaccuracies occur mainly because meaning in these situations is dependent on other factors that translation apps can not take into account including things such as grammar,syntax, linguistic phenomena like homophony, polysemy, connotations and many more. 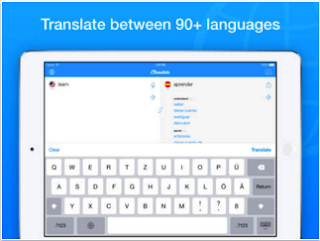 As we have mentioned earlier, Google Translate is a powerful translation app to use on your iPad or iPhone. It supports over 90 languages and enables you to use your camera to translate text in 26 languages. 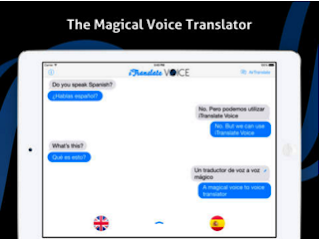 Other interesting features provided by Google Translate include: Two-way automatic speech translation in 40 languages; Draw with your finger as a keyboard alternative; Star and save translations for future reference and many more.